Something a little different for you today! So, I have been so utterly busy in recent times that I thought… why not have a Guest blogger write a post for a change?! As you all know I am very Fussy about what I drink and eat (the clue is in the website address! lol), but i’m also fussy about what I write about! I haven’t written any posts in a while, not only because I haven’t had time, but because I haven’t had anything “jump out” at me as being worthy of a post. Nick Stokes from D.W. Alexander, a popular Bar in Toronto, Canada, got in contact with me and sent a copy of their drink menu. (It is so great to see The Fussy One is being read all over the World!) There were several drinks on the list that seemed totally up my alley, but the following “Sage and Honey Cocktail” was the one that I felt drawn to the most. We all know I love a good egg white cocktail, and this twist on a sour would be my go to order if I walked in to D.W. Alexander in person. Nick was kind enough to write the following post about this drink for you all to read. A side note; Tiki Bitters are described as an exotic tropical blend of Cinnamon, allspice and distinctive island spices. I have never tried them myself, and Cinnamon is not my favorite flavor, but these bitters are supposed to add an enhanced flavor profile without dominating the palate which sounds interesting to me! Could be a good “Fall” drink option when the time comes. Good thing about cocktails is their versatility. You can create a sweet or sour cocktail, you can make a drink for guys or for girls, if you wish, you can mix various colors and get an amazing affect. They give us a great freedom to do whatever we wish with our alcohol and to have fun in the process. This is precisely why this industry developed so much. People who like to drink can get bored with their regular brand name alcohol. While we still love that drink, we would like to give it a special twist and to leave our own mark on it. The Sage and Honey cocktail is quite specific. This drink was invented in D.W. Alexander, one of the popular Toronto bars in Canada. It has sage infused rum as its base giving it a nice and bitter taste with a hint of plant life within. 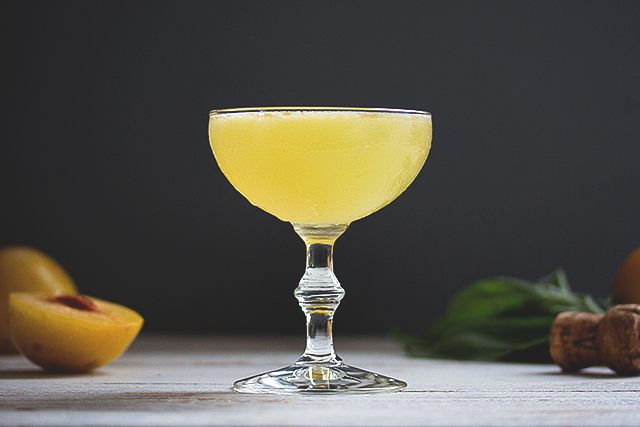 Nowadays, infused drinks are becoming more and more popular, adding various tones to classic drinks. This in itself is a cocktail so let’s call it a good start. After adding lemon, egg white and honey, you will have a feeling that you are making a cake. The last ingredient is Tiki Bitters. Although it is quite a new drink (created during the last decade) it is becoming increasingly popular as a good substitution for some other bitters or in some cases, such as this, as a basic ingredient for innovative cocktails. The cocktail is mostly sour, with nice plant undertones. Mix all the ingredients together in a shaker filled with ice. After shaking vigorously for 20 seconds, strain it in a glass. This cocktail is great for winter. It goes nicely with red meat and in some cases you will wish to use it instead of cough syrup because it clears sinuses quite nicely. This is a great choice for all the people who like bitters and would love to try something a bit sweeter. Thanks Nick for this piece, and for those in Canada, or heading to Toronto, I recommend you try out D.W. Alexander. When we’re next in town, I know we will be making an appearance!